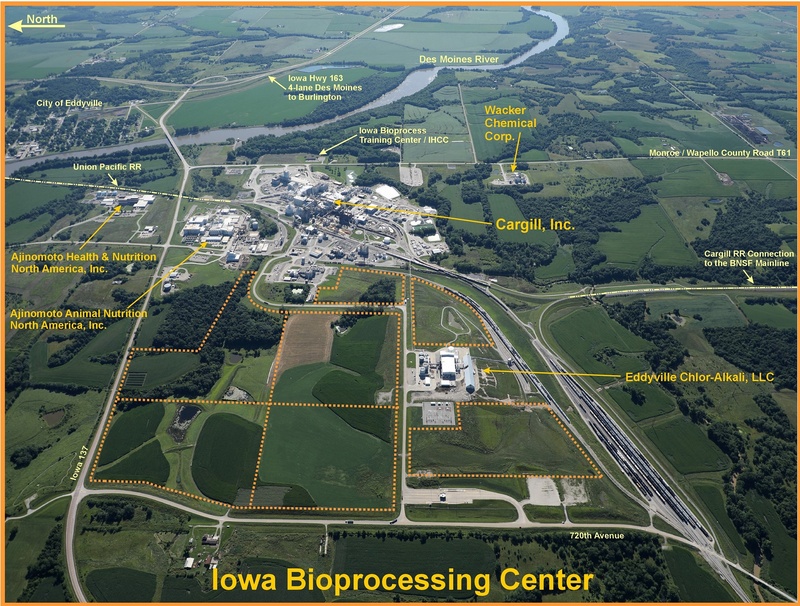 Construction was completed in the Fall of 2005 on a new 240 acre industrial park adjacent to the Iowa Bioprocessing Center. The cooperative effort between Monroe County, Cargill, the Economic Development Administration, the Iowa Department of Transportation and AIDC paved two roads and create flexible lot sizes (10 - 80 acres) on Cargill-owned land. Click on the 2018 aerial to the right for a detailed layout of the park.